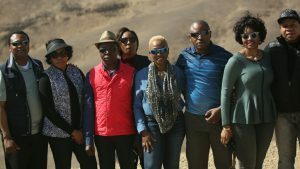 Last April Pastor Chris Oyakhilome, along with members of the Believers’ LoveWorld (BLW), took a trip to Jerusalem, Israel, also known as the Holy Land. The trip was a true milestone for the year of the Supernatural. 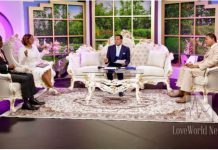 Pastor Chris extended the invitation to all LoveWorld supporters to embark on a spiritual journey that "would touch the hearts of hundreds involved." Pastor Chris and his team visited many famous landmarks throughout the sacred city. Most notably, The Tomb of Lazarus in Bethany. The tomb is a spot of pilgrimage for Christians across the world and is located in Bethany or Al-Eizariya, a Muslim and a Christian Arab village in Jerusalem. Bethany was the home of the Lazarus, Mary and Martha and the setting of many New Testament events. Most famously, the site is the place of a miracle in the Gospel of John where Jesus raised Lazarus from the dead. In just a short time of 8 days, the Loveworld team visited many historic landmarks that the. One of the more memorable ones was the visit to the Herzl museum, dedicated to the founder of the Zionist movement, Theodore Herzl. Following the museum’s visit, the Pastor was then guided to the Palmach Museum in Tel Aviv, which honors the Elie Fighting Force of the Hagana, which was an underground military organization. The Pastor had expressed how incredibly moved he was by the heroic achievements of both groups of the Jewish people and their resilience. Christ Embassy has been doing the annual trip for several years now. One Loveworld member from the 2016 Holy Land Tour spoke of his experience saying that it was “an amazing experience. Last year’s tour took place at one of the most eventful times in history for Israel, the 70th year of independence as well as the move of the US embassy to Jerusalem. The establishment of the state of Israel has been instrumental in fulfilling many Bible prophecies. While it might be a contentious piece of land, the establishment of the state is viewed as a miracle by billions. In addition to the man of God, Pastor Benny Hinn was another highly esteemed member that graced Israel with his presence. Pastor Benny Hinn who was actually born in the Holy Land, decided to reconnect with his root as well the Land from which Jesus Christ came. Pastor Hinn described Israel (the Holy Land) as an amazing place and was still blown away by the place calls home by commenting on the countless historical and biblical sites one can see when visiting this amazing place. Hinn remarked on how uplifting it is just to be in Israel and to walk around. “It is where Hannah prayed to God for a son, and in return, she would give him back to the Lord. God listened to her prayers, and she named him Samuel (=God has heard me). Here is where God will hear your prayer”. He stood before the place where Hannah prayed in the biblical city of Shiloh. It is the same place where Samuel ministered. While is not a frequently visited site, Hinn’s certainly made it a memorable one. To finish off the Holy Land Bible Tour, Pastor Chris and Pastor Benny Hinn held a charity gala in the Olmaya Hall, located in Jerusalem. 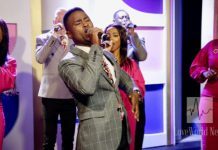 The gala included an uplifting ministration from Pastor Chris and Pastor Benny Hinn about the land of Israel and how it has become a symbol of salvation for Christians, particularly Evangelicals. The gala was attended by many international Evangelicals, Jewish supporters, and followers of the Pastor. It was reported to have been an extremely successful event.